Thank you to everyone who responded to the Spring membership renewal letter and Campership Fund appeal in May and June. Your donations enabled us to offer additional camperships to children from towns other than those who contribute at Town Meeting to the HNA Campership Fund. Each year nearly 150 children attend one-week sessions of day and overnight camp at Hazen’s Notch. Camp fees at Hazen’s Notch are kept to a reasonable level so as to make the camp affordable to as many as possible. Many campers come from families who can afford the camp fee. Some families though simply cannot afford to send their children to any camp, even one as fairly priced as Hazen’s Notch. As a non-profit organization dedicated to community service we are committed to making the Hazen’s Notch camp experience available to as many deserving children as we can. The Campership Fund was created to accomplish that goal. The inspiration for the fund was the generosity of two families – one in Montgomery and one in Jay – who separately contacted us and offered to sponsor a child. 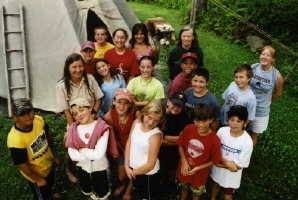 Now in our 13th year, the HNA Summer Camp has attracted children from all of Franklin County, northern Lamoille County, western Orleans County, New Hampshire, Maine, Massachusetts, Connecticut, Rhode Island, New York, New Jersey, Colorado, North Carolina, Ohio, Louisiana, Quebec, Ontario, Saskatchewan, England, and France. We are proud that many families whose children attend camp each summer make a donation to the Campership Fund above and beyond their own child’s camp fee so that others can benefit from this wonderful educational opportunity. The Hazen’s Notch Association would like to thank the voters in the towns of Montgomery, Jay, Westfield, Lowell, Sheldon and Fairfield for voting to contribute to the HNA Campership Fund. Thanks also go to the Warner Fund for their financial support. In addition to the above named towns, children came to camp at Hazen’s Notch this summer on a campership from the following towns: Belvidere, Berkshire, Burlington, Enosburg, Franklin, Highgate, and Richford. We have not yet reached our goal of $5,000 for this year’s Campership Fund. While camp has finished for the year and we are busy preparing the trails for the coming winter, we still have to raise $2,000. Please renew your membership as soon as it is convenient for you and consider, if you will, an additional gift to the Campership Fund. Every donation helps the Association to continue to serve our communities by providing environmental education programs, summer camp opportunities and recreational trails for the public. Our good friend and neighbor Bill Caney died this past July at the age of 91. Bill and his wife Joe were loved and respected by so many people in our town. From the start Bill and Joe supported our plans to form the Association. In September of 1996 Bill Caney agreed to join the HNA board. He was elected Vice President and served in that position for six years. Bill graciously hosted many HNA board meetings at his house including several potluck suppers that became as popular as any event the HNA has ever organized. It was wonderful to see Bill welcome each new board member to our group and to his home. At the end of his second term on the board, Bill was elected to the honorary position of Director Emeritus. He continued to show a deep interest in and support for the work of the Association until his death. Bill Caney’s family generously designated the HNA to receive donations in his memory and suggested that we could apply the gifts to the Campership Fund. Bill also loved to cross country ski and especially enjoyed having a groomed trail that brought skiers past his house. At their August 22nd meeting the HNA Board of Directors approved a proposal for an annual ski tour at Hazen’s Notch in Bill Caney’s memory. All trail fees collected that day will be applied to the HNA Campership Fund in memory of Bill Caney. The Winter Newsletter will have the date for this year's ski tour. 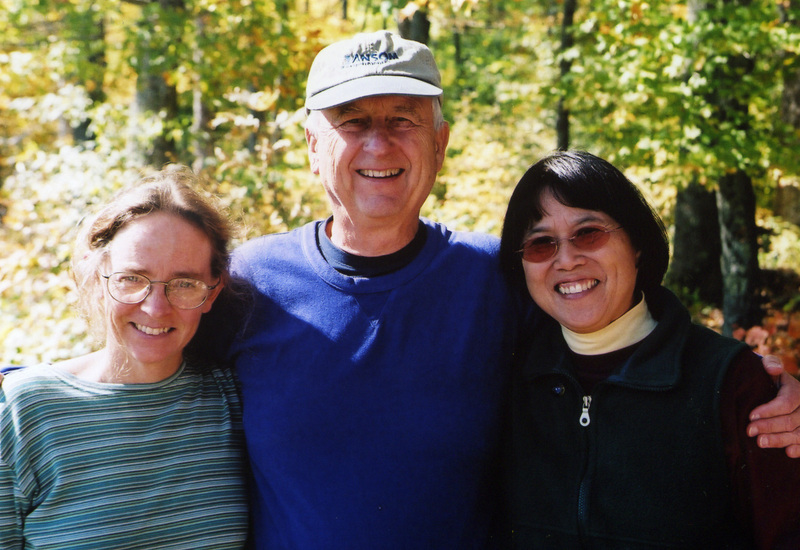 We plan to continue to honor a man who believed strongly in the mission of the Hazen’s Notch Association – land conservation, stewardship of natural resources and environmental education. HNA Board members who served in 2006 included Sharon Anderson and Rolf Anderson of Montgomery, Jerry Crouter of Montgomery, Jane Halbeisen of Westfield, David Hunter of Newport Center, Anne McKay of North Troy, David Ransom of Waterville, Cynthia Scott of Enosburg, and Louise Wright of Enosburg. Thank you all ! Montgomery Elementary School students had a very special visitor this past April 11. Nancy Carol Willis, writer and illustrator of children’s nature science books from Delaware, presented Interactive learning programs for grades K-8. She presented three books that she has written and illustrated and told the story of each one. One book, The Robins in Your Backyard, describes the life cycle of a bird familiar to everyone and how a pair of robins raises its young. Her book, Raccoon Moon, tells of her experience discovering three orphaned baby raccoons one hot summer day in her backyard. With the help of an expert wildlife biologist and a veterinarian, she successfully raised them so that they could be released back into the wild. Her most recent book, Red Knot: A Shorebird’s Incredible Journey, tells the story of an endangered species of shorebird that annually migrates 20,000 miles from the Arctic tundra (its birthplace) to Tierra del Fuego (where it spends the winter) and back. Her writing is very engaging and her illustrations are very illuminating. 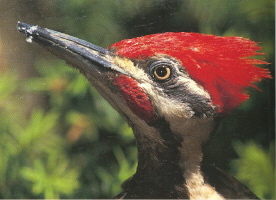 They are based on firsthand observations, photographs and research. Kindergarten, 1st and 2nd Grade students learned how the female robin builds her nest out of grasses that are moistened by morning dew to make them flexible. They learned that a raccoon’s name is from the Algonquin words meaning “one that scratches with its hands” and refers to the raccoon’s habit of manipulating its food with its front paws before eating. They learned that a red knot doubles its weight during migration. The 3rd, 4th and 5th Grades learned about the several stages in putting together a non-fiction book. The 6th, 7th and 8th Grades learned 10 objectives of good non-fiction writing and enjoyed a discussion of several examples of their writing that they had submitted ahead of time. A reception and book signing took place at 3:00 pm. HNA members welcomed Nancy on this, her first visit to Vermont. Nancy Carol Willis’ programs at Montgomery Elementary were sponsored by the Hazen’s Notch Association and made possible by a generous grant from several members. Copies of Nancy’s books may be purchased at the HNA Welcome Center. At their August meeting the HNA Board of Directors appointed Megan Martinson as Assistant Camp Director for the 2007 summer camp season. Megan is a native of Montgomery Center and is a daughter of Nancy and David Martinson. Megan has been a member of the HNA Summer Camp staff for six years. She graduated from Johnson State College with a B.A. in Education. Her major area of study was in Art with a minor in French. Megan teaches computer science at the Enosburg Falls High School. Rolf and Sharon look forward to Megan’s help over the winter with creating new summer camp themes and activities and with training and supervising camp staff next year. Congratulations Megan ! Debbie Benjamin was recently elected to the Board of Directors of the Vermont Statewide Environmental Education Programs (SWEEP). Debbie has represented the HNA at meetings of Vt SWEEP for several years. This group is a network of organizations and individuals from throughout the state who provide environmental education programs to the public. Debbie is a founding board member of the HNA and has worked for the Association as an educator for 13 years. 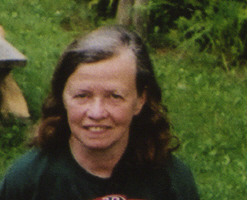 Debbie also serves as President of the Vermont Bird and Botanical Club. She lives in Eden with her husband Marty Nopola. We congratulate Debbie and thank her for her good work in support of environmental education. We are very fortunate to have Debbie on the staff of the Hazen’s Notch Association. Sebastian Massey is the son of Sabra and Andrew Massey of Montgomery. He has been a member of the HNA Summer Camp staff for many years. Since January of 2006 Sebastian has been living and working with the native people’s of Niger applying his skills in animal science learned in college. Beginning when he was 10 years old Colin attended the HNA Summer Camp along with his sister Robin. He was notable for his interest in small creatures, especially aquatic insects. Eventually Colin became a member of our camp staff and enrolled in UVM to study biology, preferring his middle name to reflect his emerging personality. 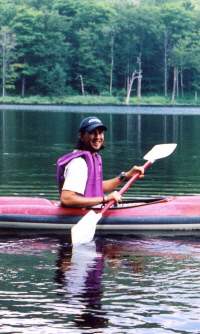 Over four summers on the HNA Summer Camp staff Sebastian grew to become a popular leader and effective educator who earned the campers’ affection and our respect. Although we have not been short of sufficient staff at the HNA Summer Camp, we have not found a replacement for Sebastian Massey. Sebastian brought a unique set of talents that combined a deep love for nature, compassion for children, excellent teaching skills, gentle but firm leadership and a wonderful smile that could chase away the clouds. We send him our best wishes for his time in Niger and look forward to his safe return. We note the passing of Sharon and Rolf Anderson’s dog Kesa Warm Sun who died at home on June 27, 2006. Kesa was the official camp mascot and was loved by all the children who attended the Hazen’s Notch Summer Camp since our beginning in 1994. Kesa was born in Ayer’s Cliff, Quebec on June 5, 1992. Her sire was a Canadian and American National Champion. Sharon trained Kesa for obedience and tracking competition. With Sharon as her handler Kesa received her Canadian title (Novice) and American title (Intermediate) with high scores. She was awarded the American Kennel Club title of CDX – Companion Dog Excellent. Over her 14 year life she was an instrumental part of every week at the Hazen’s Notch Association children’s summer camp. Kesa entertained campers and other audiences (some as large as 100) with her impressive repertoire of tricks and obedience demonstrations. Her love of the outdoors was matched by her affection for people whether greeting newcomers to Hazen’s Notch or comforting homesick children. She was known for her attentive gaze and remarkable ability to move with precision and grace by her handler’s side. We are comforted to know that she will be remembered as a very special dog who brought happiness to many people, especially children. Although we are sad that she is gone we are grateful for the time we had together with her.